Despite a recent trip by Apple Chief Executive Tim Cook to meet with local officials, the Indian government on Monday announced that it will not allow the company to sell refurbished iPhones in its country. India's minister of commerce and industry, Nirmala Sitharaman, held a press conference on Monday to announce the government had rejected Apple's request, according to Live Mint. Apple had been hoping to gain traction in the emerging market by selling more affordable, refurbished iPhones. "We are not in favor of any company selling used phones... however certified they may be," Sitharaman said. It's been a rough few weeks for Apple in India, where its plans have been met with resistance from local officials. Last week, the country's finance minister reiterated that Apple must source at least 30 percent of its components locally, if it hopes to open retail outlets in India. Sitharaman also commented on the retail issue in Monday's press conference, saying that although the government might be open to waiving the 30 percent requirement, the finance ministry "has taken a different position." Sitharaman said she and the finance ministry will continue to consider the issue. 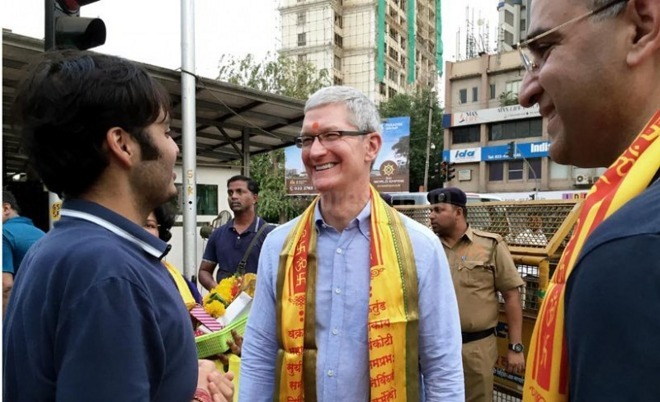 The rejections come on the heels of Apple Chief Executive Tim Cook's own trip to India, where he took in local sighs and met with officials, including Prime Minister Narendra Modi. Coinciding with the visit, Apple announced it will open an iOS design and development accelerator in the country in 2017, while the company also launched a Maps development center in the town of Hyderabad.